Ah, the World Cup: full of patriotism and passion, dramas and controversies, the ecstasy of victory and the agony of defeat. For one month every four years the world comes together in celebration of this truly global, egalitarian sport. I know I’m not the only football fan for whom this was a momentous match. 2002 was the first time I watched the World Cup, having only really gotten into football over the previous 18 months (a fledgling Manchester City fan in the Stuart Pearce era!). I had finished my first year at college in New York City, and was back in Kan sas for the summer. It would be the last time I would spend more than a couple of weeks in my hometown, and was my last real goof-off student summer, as the following year I stayed in NYC and worked full-time. Underdog Ireland played with so much heart, and after spending the whole match 1-0 down, Robbie Keane scored in the 90th minute. I remember sitting bolt upright in my little desk chair, pulled right up to the TV in my bedroom, as the match progressed to penalties. Spain defeated Ireland 3-2, and in that instant I understood the tribal, soul-deep love that football seems to inspire in its fans. I was so invested, so devastated, yet so proud of Ireland’s effort. I was hooked. 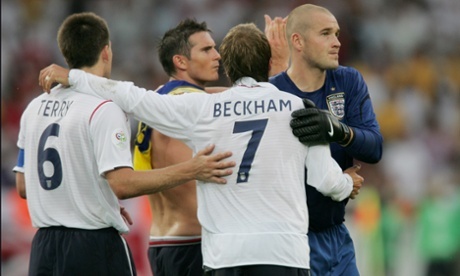 I supported England in the 2006 World Cup, during which I was living and working in New York City, having graduated from college a year earlier. The time difference meant many of the matches were on in the morning or at midday, and England vs. Ecuador started at around 10 AM on a Saturday. I remember this match not for Beckham’s winning goal, but for the venue where I watched it: 11th Street Pub in the East Village, a small, innocuous-looking bar that is in fact the meeting place for a rabid bunch of Liverpool FC fans. They showed the match on a big screen at the back and a half-and-half mix of Brits and Americans gathered around communal tables, making friends, sharing snacks, cheering and booing in unison. The atmosphere was awesome, and illustrated one of the great things about the World Cup: the way the sport brings together complete strangers, who for two hours have nothing more in common than the ferocious desire for a ball to find its way into a net. I know, choosing a final seems like a cop-out, but it’s nonetheless the most memorable match, for me, of 2010. By this time I’d been living in England for almost three ye ars, and experiencing a World Cup in Europe, where everyone lives and breathes football all year long, made a brilliant contrast to the relatively niche fandom one finds in the US. We were in the process of moving from Camden Town to Belsize Park during the tournament, and were lucky to have a slight overlap in our lease because, in typical British fashion, it took ages to get our internet up and running in the new flat. On the Sunday night my now-husband and I trekked back down to our empty Camden Town flat armed with a laptop so we could watch the match. We sat on the floor, cheering on Spain via an occasionally stuttering web broadcast. It was on a couple seconds’ delay so we would hear huge cheers or groans from the pub down the road before we saw the goal/foul/chance that prompted them. The match finished, Spain were the victors, and we took the Tube two stops back up to Belsize Park…where we rode the lift with a handful of depressed-looking Dutchmen in orange jerseys. In the 12 years I’ve been able to truly call myself a soccer fan, I’ve loved watching the sport evolve in my home country. I love seeing more American players in the Premier League, I love the constantly improving quality of MLS games, and I loved all the news reports of the fan support for USMNT this year (and tried to ignore the pang at being 9,000 miles away!). 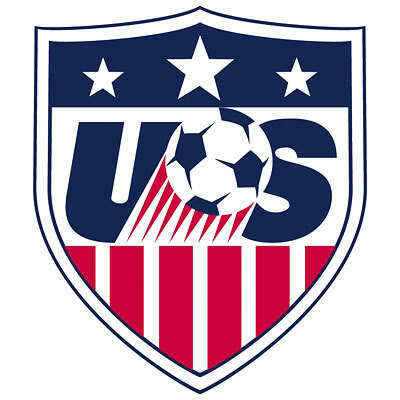 I won’t remember USA vs. Belgium because it’s the game that knocked the US out of the World Cup – I’ll remember it for the unparalleled commitment, ferocity, and determination with which USMNT played. I was emotionally prepared for it being the USA’s last match of the tournament, but I had no idea it would be so hard-won. Every year the USA creeps that little bit further through the stages, and I can’t wait to see them in a quarter-final in 2018. I’m excited for the 2014 World Cup final on Sunday night, but I’m also a little sad that come Monday, this sporting whirlwind will be over for another four years. I’m going to miss tuning in almost every night and arbitrarily picking a country to root for, and I’m going to miss the morning-after dissection of attempts, chances, and dives. I’m even going to miss the crazy stories, like the Black Stars’ cash-filled plane and Suarez’s bite marks. But I suppose much of the romance of football is down to its fugaciousness: today you’re a champion, but tomorrow someone’ll be doing everything they can to take that title away. Winners and losers, dreams and failures, it really is the beautiful game. This entry was posted in life etc and tagged England, football, Ireland, la pasion, soccer, Spain, sports, the beautiful game, USMNT, World Cup, World Cup 2014 by Rebecca Crowley. Bookmark the permalink.